For the ultimate in beauty and convenience, Memphis Wood Fire Grills is proud to announce a new line of stainless steel drawers and doors to compliment any outdoor kitchen setting. Made in the USA, this new line of accessories is designed to match our Pro and Elite Built-in Grills and will fit seamlessly into your masonry island. 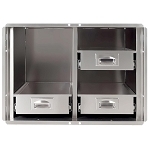 Built with 304 Stainless Steel and utilizing durable, high quality slides, these drawers are built to hold up to 100 lbs. 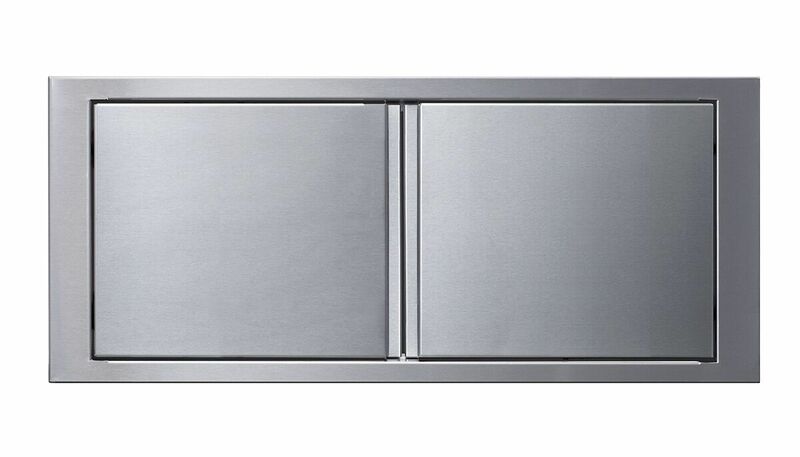 The heavy-duty drawer slides are also stainless steel and provide a smooth opening and easy touch self-closing feature. Overall - 13 x 30 1/16 x 3 3/4 "
Cutout - 11 1/2 x x 27 3/8 "